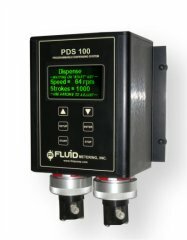 Fluid Metering Inc (FMI) pioneered the first patented valveless rotating and reciprocating piston precision metering pump concept and has been providing precise fluid metering control for over 50 years. FMI dispensers and metering pumps have been utilised in a broad range of laboratory, analytical, industrial process, and OEM applications requiring precision fluid metering. With accuracies better than ± 0.5% and consistent precise output with all FMI pumps. Accuracy is held from micro litres to the full flow range. Output does not change more than ± 1% of set value. An important cost saving factor considering the waste generated by inaccurate pumps. FMI pumps have no valves to clog, leak, hang up or service, maintenance and down time are considerably reduced and with ceramic internals, which are wear and abrasion resistant as well as having corrosion resistant fluid paths, means Superior material stability will provide millions of service free cycles. We now also feature the exciting Zaxis metering pumps which add an additional servo drive to the pump stroke giving the ultimate in controllability, repeatability and accuracy. 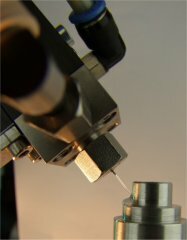 LIQUIDYN is a Specialist in Non-Contact Micro Dispensing, Micro Dot Dispensing & Jetting of low to high viscosity materials including SMT Adhesives, Anaerobic Adhesives, Super Glues, Cyanoacrylate Adhesives, 1 and 2 part Epoxies, UV Adhesives, Lacquers, Silicones, Greases, Oils, SMT, Soldering Fluxes, Weak Acids & Alkalis and Ethers to name a few. LIQUIDYN Micro Dispensing Systems are designed for applications where accurate and repetitive volumes of material need to be dispensed in volumes ranging from 3 nanolitres and up either as repetitive high speed multiple micro dots, beads or fixed volumes. The P-Jet CT Micro Jet Dispenser can deliver an astounding 280 micro dots per second with consistent results..
Zaxis Inc. VariPump™ system combines the user-friendly TSi (Touch Screen Interface) programmable controller and a state-of-the-art FMI metering module. This technology employs extreme tolerance diamond honed ceramic pump components and an electronically controlled linear stepper actuator to make ultra-fine adjustments to pump angle position, thereby changing the quantity of metered liquid. This allows the VariPump™ system to provide enhanced fluidic movement of fluids varying in viscosity and surface tension. 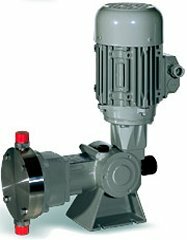 The pump used in the VariPump™ system is a rotating and reciprocating pump design manufactured by FMI. Controlling the synchronized rotating and reciprocating movement allows the TSi controller to accurately maintain the displacement of the piston. With the piston and the sleeve being manufactured from ceramic, the assembly is manufactured to extremely tight tolerances, ensuring accuracy and repeatability. This pump design eliminates the need for external supply and discharge valves; the intake port of the pump is never common to the discharge port. 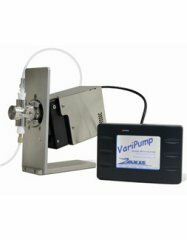 The VariPump™ system will change the way industry meters fluids. Sealant Equipment & Engineering Inc is a leading manufacturer of precision meter mix and dispense systems for adhesives, sealants and lubricants. The company provides 1-component dispensing equipment and 2-component meter-mix dispensing equipment for epoxy, silicone, urethane and acrylic materials and lubrication dispensing equipment for oils and greases. Dispensing systems are available for robotic dispensing, automation dispensing and manual dispensing processes such as structural adhesive bonding, doming, encapsulating, filling, gasketing, moulding, potting and sealing applications. These dispensing systems are designed for General Industry and Automotive dispensing applications in virtually all industries and suppliers including appliances, aircraft, automation, composite, defence, construction, electronics, farm implement, filters, marine, medical, recreational, solar power, telecommunications, vehicle, truck, bus, trailer and tier-1 suppliers. DOSEURO are an expert manufacturer of solenoid, hydraulic diaphragm, piston plunger, mechanical diaphragm and positive displacement dosing pumps, solenoid pumps, as well as various electronic mixers (agitators) and polyelectrolyte blending systems. DOSEURO pumps are based on three main working principles including Piston Pumps with packed plungers, Piston/Hydraulic Diaphragms and Mechanical Diaphragms. Pumps are powered either with an electric motor or electromagnetic solenoid. DOSEURO also manufactures complete dosing packages, electric mixers, and fully automatic plant for dissolution and mixing of polyelectrolyte chemicals. PRO-DO-MIX have working successfully in the production of mixers for over 15 years in various industry sectors such as water treatment, paper, chemical and mining industry. Their skills in mechanical engineering, fluid-dynamics and the numerous custom solutions, has enabled them to create a range of standard stock mixers which are ideal for tanks up to 180m3 with impellers with diameters up to 3,500mm and up to 6,000mm long shafts. 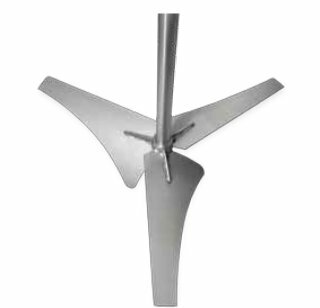 These features enable their mixers to meet the needs of the client for the process required and the size of the vessel. The special profiles of impellers, provide the energy efficiency for industrial processes to which these range of mixers are designed for.